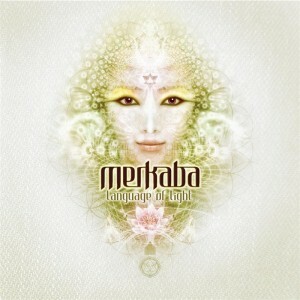 Language Of Light is a sacred and deep journey through intentional, tribal, psychedelic, organic, epic, and cosmic trancescapes by Merkaba of Merkaba Music. Originally released in 2012, this album incorporates ancient tunings, channelled chants, healing frequencies, and a focus on a balance between shadow and the light, masculine and feminine. Here we can hear Merkaba’s art reaching a new level, coming into complete resonance with the NOW. Ascension update anyone? Composition and production by Yaegon Lamagaia. Vocals on “Organical Mechanical” by Alice Spacedoll. Mastered by Tron Audio. MP3 Download | FLAC Download | WAV Download · Download count: 18,563. Warm, relaxed and rythmic… This album is perfect. I believe this is a project by an artist whose other name is Kalya Scintilla. He makes bass music similar to this. If you like this release, check his other music out! Yes he exploded in the scene with Merkaba. He’s now more focused on his glitch project under the name of Kalya Scintilla. Both projects are rareties. Brilliant and super intelligent, organic and fresh. Yes, this is Kalya Scintilla and while I personally prefer that project, Merkaba is still very, very good. Each new detail is crystal-clear and given attention to, very, very interesting and fascinating productions. It would be great to see what he would do with higher BPM music. Thanks for making my mind working bright and clear, when listening to your sounds. This is the psy music, I like the most. Not too slow, not too fast. Saying enough to tease my brain, but still leaving the place for my own thoughts. Excellent, really. Nice Language of Light ! Wie geil is das denn!!!!!!!!!!!!! The very best album i ever have heard on ektoplazm! It gives me the heebie-jeebies…..lot heebie-jeebies!!!! Sublime musical genius and production , many thanks and blessings for this. I agree with the other commenters, this release amazed me immediately by its clearness of ‘mind’, so to say. I’d been tired of psytrance and the like for a while, but this definitely re-awakened my interest. interesting use of Sepultura samples. the best album i have herad in this site. Truly a fantastic album! I met Yaygon a couple years back when he was here in Taos, and aside from being an epic level producer, he’s truly a kind soul with a great sense of humor. Been working on a remix for “Divine Mother Tree” for awhile now – hopefully it will be released some time in 2015. I just played “Tantric Fusion” at a party and people loved it! I did not expect quite what this album brought to the table. It caught me off guard and completely by surprise! Very melodic, soothing and wonderfully seductive! I am extremely fussy about the music I listen to. This album has touched my soul profoundly and I cant go one day without listening to at least one track, but usually its a full dose! I’m hooked. Cant wait for more quality sound from Merkaba….i am like a child waiting for Christmas morning! This is the best producer I have discovered this year. Instant fan and searched for his other projects as well, just wow!